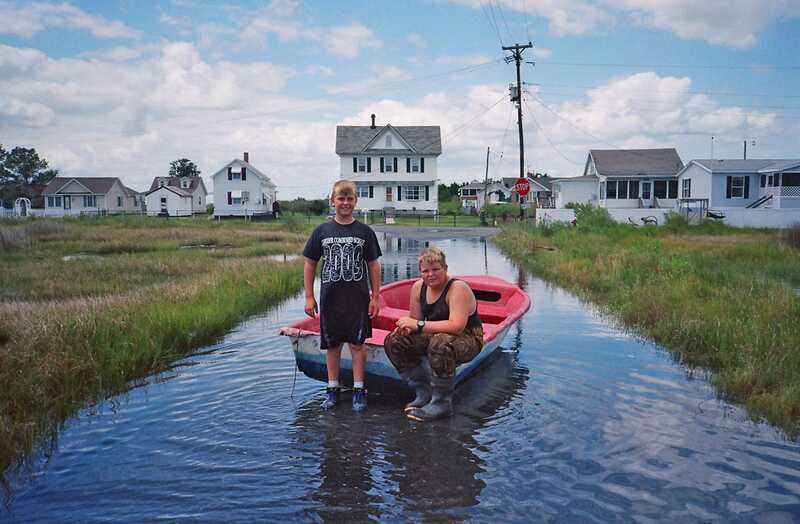 Christian Storm/Business InsiderBoys who live on Tangier Island, a sliver of land in Virginia that is disappearing due to climate change-fuelled sea level rise. Across the United States, communities are seeing the effects of climate change: more severe flooding, rising water levels, and hotter temperatures. There is one place where climate change is perhaps most imminent. 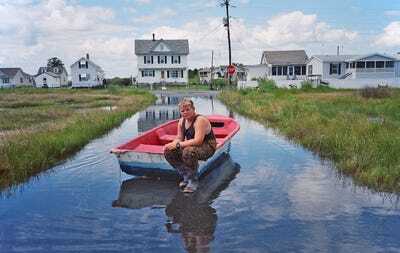 Twelve miles from either coast of the Chesapeake Bay, Tangier Island, Virginia is in danger of disappearing due to sea-level rise. In June, a delegation of Republican climate activists visited the island to try to convince its residents to take climate change seriously. 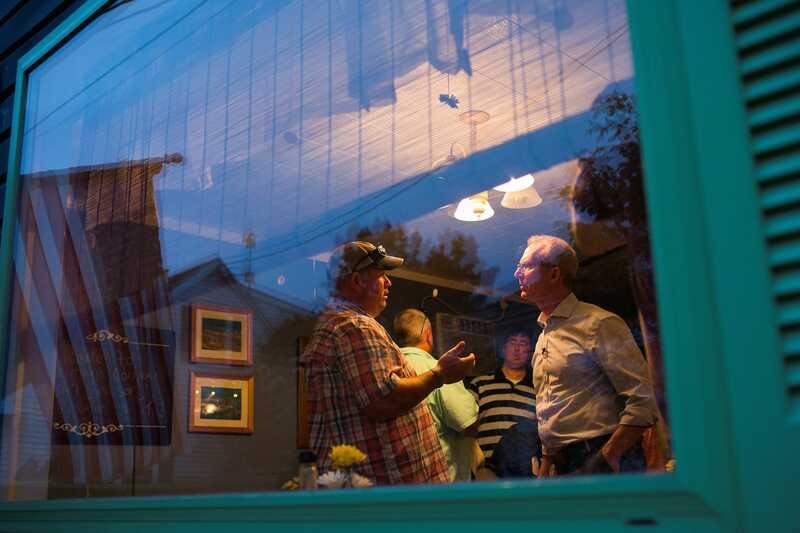 Reuters documented the visit and found that residents are not quick to change their minds. The photos below show how serious the problem has become there. Christian Storm contributed to an earlier version of this story. Tangier Island has been eroding for over 100 years, but lately, rising water levels and more frequent storms have increased the rate of land loss. 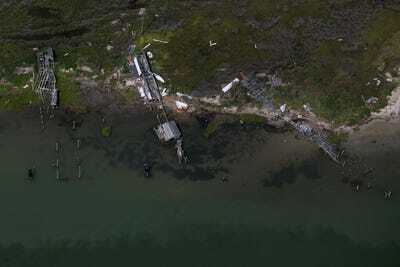 Adrees LatifDestroyed crab shacks are seen in this aerial view over Tangier Island, Virginia. Since 1850, Tangier has lost 67% of its land mass to erosion, according to a 2015 Army Corps of Engineers study. Farms have disappeared as a result. To convince some of the town’s 450 residents to take action, a group of Republican climate activists went to the island in August. Adrees LatifFormer congressman Bob Inglis speaks with an islander. Two months earlier, President Donald Trump told Tangier Mayor James “Ooker” Eskridge that he shouldn’t worry about a rise in sea levels. 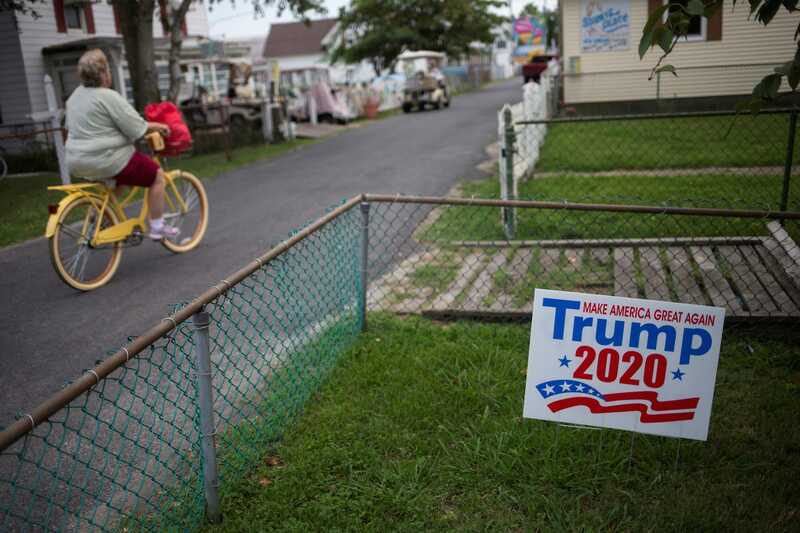 According to The Daily Times of Salisbury, Maryland, the president’s call was in response to a CNN report about the island. 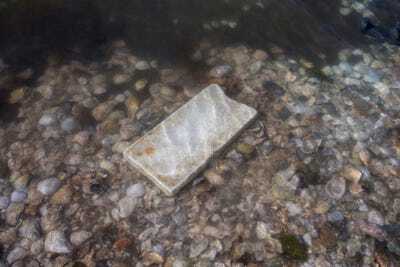 “He said, ‘Your island has been there for hundreds of years, and I believe your island will be there for hundreds more,'” Eskridge told The Daily Times. Adrees LatifTangier Mayor James ‘Ooker’ Eskridge at the Fisherman’s Corner restaurant on Tangier Island, Virginia, August 2017. 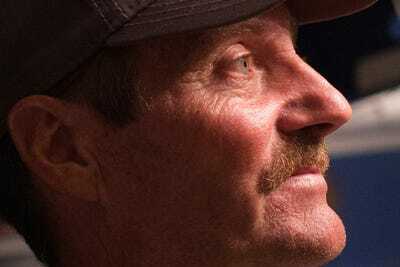 According to Eskridge, the majority of residents reject the belief that climate change exists. Many would prefer to receive a new seawall than to consider the long-term effects of carbon emissions on sea-level rise. Adrees LatifA woman cycles past a house displaying a sign supporting President Trump on Tangier Island, Virginia, August 2017. 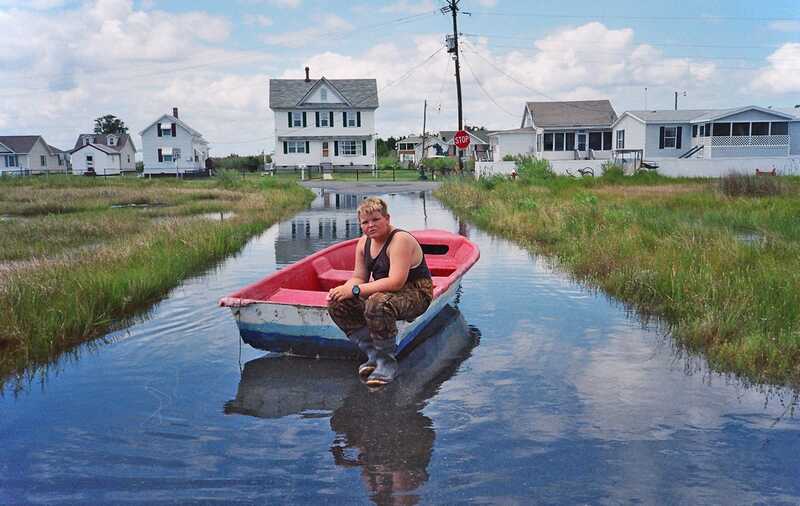 In recent years, Tangier Island has become a poster child of the nation’s climate crisis. This approach to climate change is not unique to Tangier. About a third of Americans do not support regulating pollution from coal-fired power plants, which are large drivers of carbon emissions. 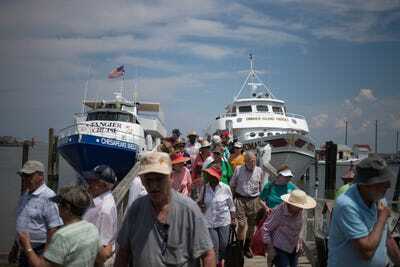 Adrees LatifTourists arrive by ferry to Tangier Island, Virginia, August 2017. Some scientists predict that Tangier residents will need to abandon the island within decades. 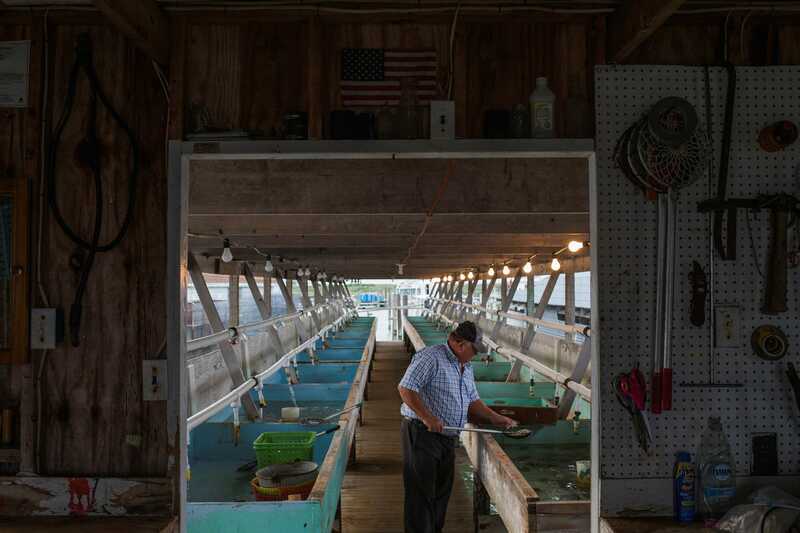 Adrees LatifLocal fisherman Rudy Shores sorts through soft shell crabs at his crab shack on Tangier Island, Virginia, August 2017. 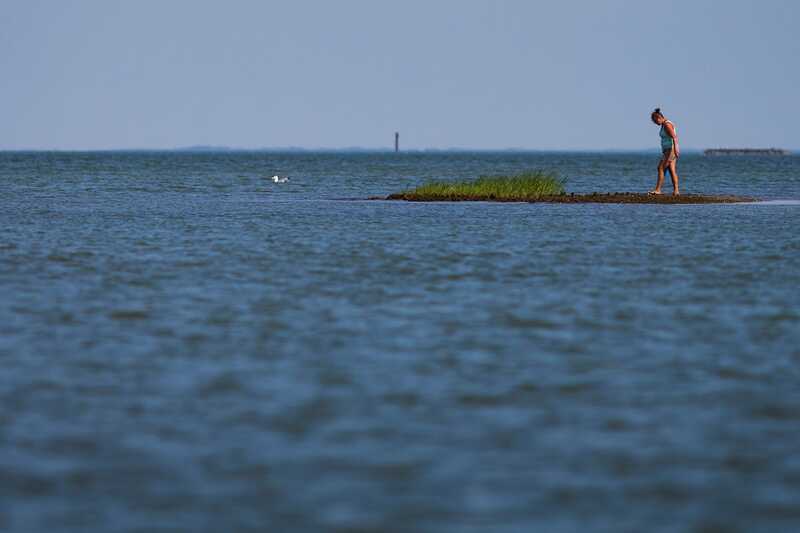 In the mid-1800s, Tangier Island encompassed about 2,060 acres. Today, just 791 acres are above water. 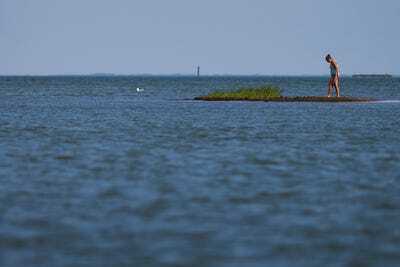 Adrees LatifBrandi Tuck of Yorktown searches for arrowheads in the ‘Uppards’ part of Tangier Island, Virginia, August 2017. 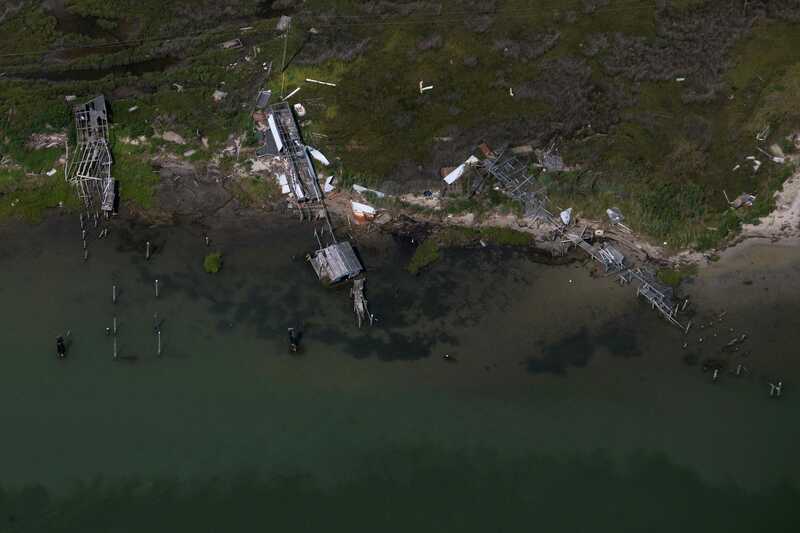 Research suggests Tangier is losing nine acres of land a year to erosion and rising tides. 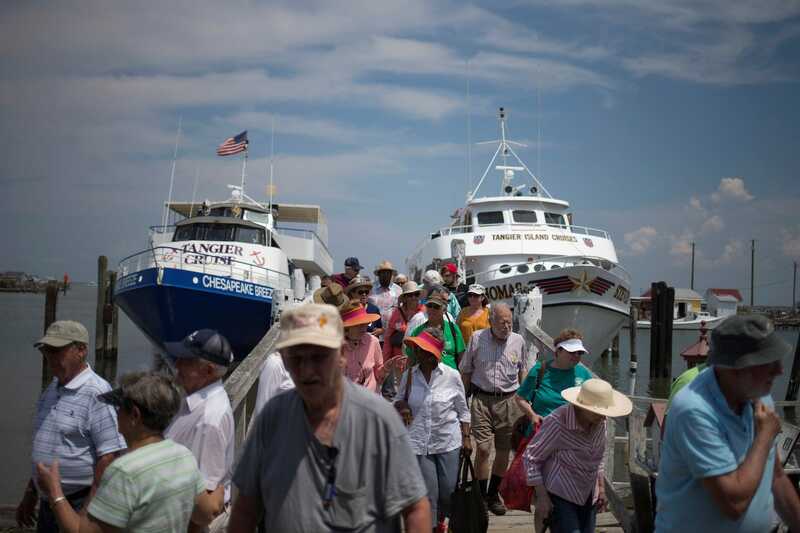 As a result, 50 to 100 residents leave the island each year. 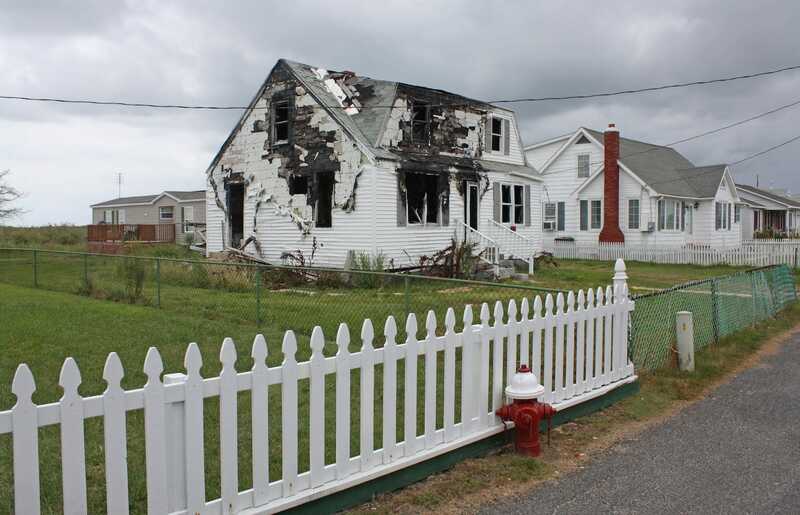 When former Business Insider reporter Christian Storm visited Tangier in 2014, he learned that tombstones sit on front lawns of homes due to the island’s lack of space. Christian Storm/Business InsiderTangier Island in 2014. 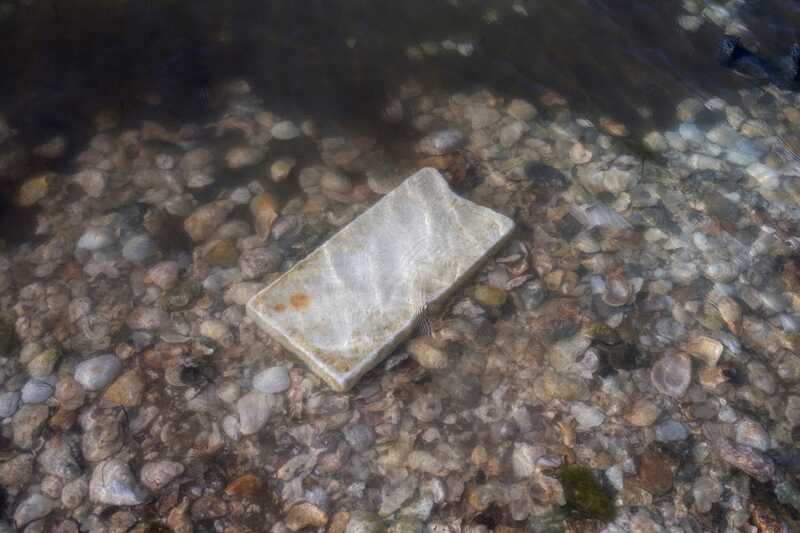 In the 2017 photo below, a tombstone lies submerged at the water’s edge in the “Uppards” part of Tangier Island. Adrees LatifTangier Island, August 2017. To many of Tangier’s residents, however, the threat of their island vanishing still seems like a far off future. Christian Storm/Business InsiderA home on Tangier Island, 2014. 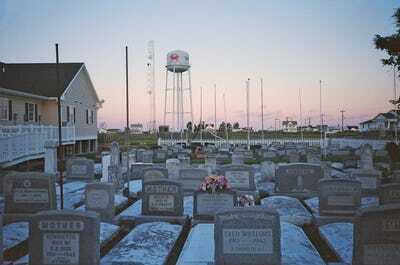 Christian Storm/Business InsiderA boy who lives on Tangier Island, 2014.